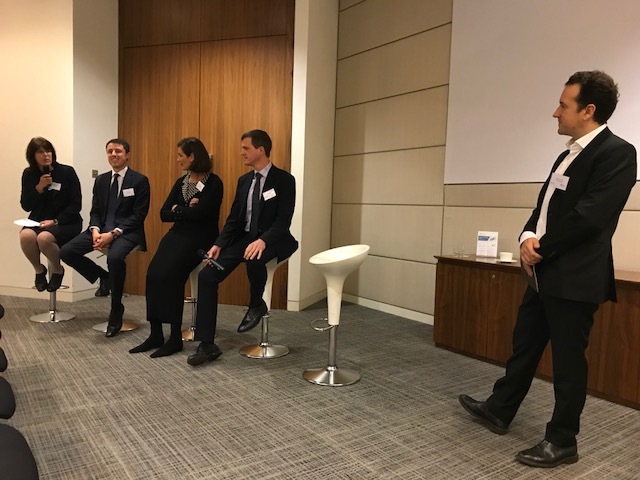 Speakers at this Joint SPR/ULI European Logistics Seminar, held on November 28 at Cushman & Wakefield’s London offices, confirmed that even though logistics has been one of real estate’s strongest sectors in recent years, plenty of potential for future growth still remains. Speaking first, Alex Lund of M&G Real Estate stressed that although Europe’s logistics real estate is a highly competitive investment sector with limited supply, it promises to provide healthy future performance, driven by strong fundamentals and the growing cohesion of European economies. Based on the parts of M&G Real Estate’s Digital Economy and Society Index (DESI) that relate most strongly to logistics – connectivity, use of the internet and the integration of digital technology – Denmark, Sweden and the Netherlands are currently in the vanguard. But based on the speed of change – more important when assessing rental growth potential – Italy, Ireland and Spain stand out. Lisa Graham of Cushman & Wakefield then explained that she sees urban logistics – specifically the real estate supporting the last mile of urban deliveries – as a key segment for growth. Cushmans’ research on European cities suggests that London is set to see the biggest space requirement for urban logistics in the medium term, followed by Germany, Warsaw and Spain. Graham stressed that strong performance potential stems from the limited supply of land in major cities, an effect that will not change due to technological innovations like driver less vehicles and drones – as these will remain very much on the drawing board for years to come. In the medium term ‘virtual logistics’ could prove more important – for example, placing parking pods for electric delivery bikes in existing underground car parks. Tommaso Franzolini of Scott Brownrigg led a panel discussion including Logan Smith of BNP Paribas Real Estate and Martina Malone of Prologis, which considered the prospects for different locations and types of logistics property. The panel echoed Graham’s view that logistics technology is still in its infancy, both in the use of big data for analysis purposes and the development of new delivery systems.